Mobility and technology have drastically changed the retail landscape. No less affected is the area of processing payments. A once simplistic, personal exchange of money and goods between shop owner and neighborhood patron has become a complex series of digital processes that often involve very little human interaction. Today’s shop owners, midsize businesses, and major retailers are finding themselves somewhere along this spectrum. Retailers can expect the below trends to impact payment processing in 2017. Led by the demands and expectations of millennials, as well as Generations X and Z, these trends will bring smartphones, payment aggregators, and mobile applications to the forefront of payment processing. Apps like PayPal, Google Wallet, and Apple Wallet continue to grow in popularity as breakthroughs in technology afford greater convenience and flexibility for consumers. 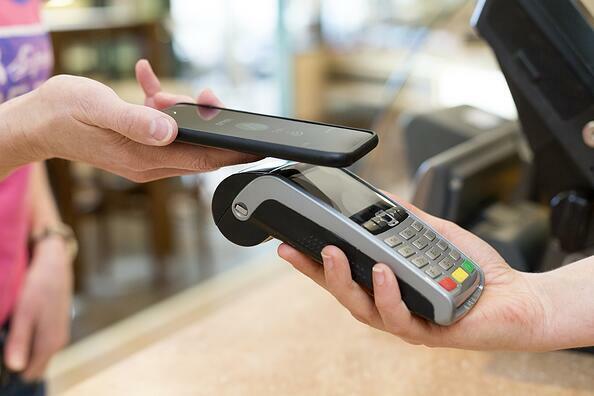 With the average customer reaching for their smartphone 150-200 times per day, it is no wonder that mobile wallets are expected to become the primary payment processing option in the near future, with expected sales of $503 in 2020. While not exactly new to the marketplace, the process of sending money to family and friends is shifting into the digital age with faster and easier processes for both consumer and retailer. The growth of digital startup companies attests to this trend. Although only representing a small portion of total digital remittance, companies like MoneyGram and Xoom (founded in 2001 in San Francisco) are seeing hundreds of billions of dollars pass through their payment processing systems. Keying in on fraud security is paramount for retailers processing payments digitally and/or electronically. Many service providers offer comprehensive security packages for fraud prevention using data encryption technology and other cybersecurity strategies. Here again, the trend away from cash, toward credit and debit card payments, also opens risk for fraud. The embedded microchip along with merchant-side EMV terminals is also trending, providing extra security against credit card fraud. Merchants are increasingly employing solutions that allow consumers to use their smartphones, laptops or other mobile devices to make credit or debit card payments via card machines and other POS systems. In the global market, the U.S. accounted for more than 35% of all card transactions and about 50% of U.S. digital buyers will use their mobile device for purchases in the near future. BI Intelligence predicts by 2021, about 27.7 million mPOS devices will be in circulation in the U.S. This trend seems to fall outside of the back-end apps and configurations related to payment processing, yet both subscription-based models and reward programs also have bright futures in the industry. The benefits of both of these trends includes a guaranteed revenue stream, although each have their own way to impact how payments are processed. To capitalize on implementing subscription and rewards forms of payment processing, companies will need to position themselves with superior customer service. As much of the world moves ever closer to a cashless society, processing payments will continue to reach new levels in technology. Offering convenience and flexibility, these trends in payment processing can boost your company’s income and standing in the marketplace.